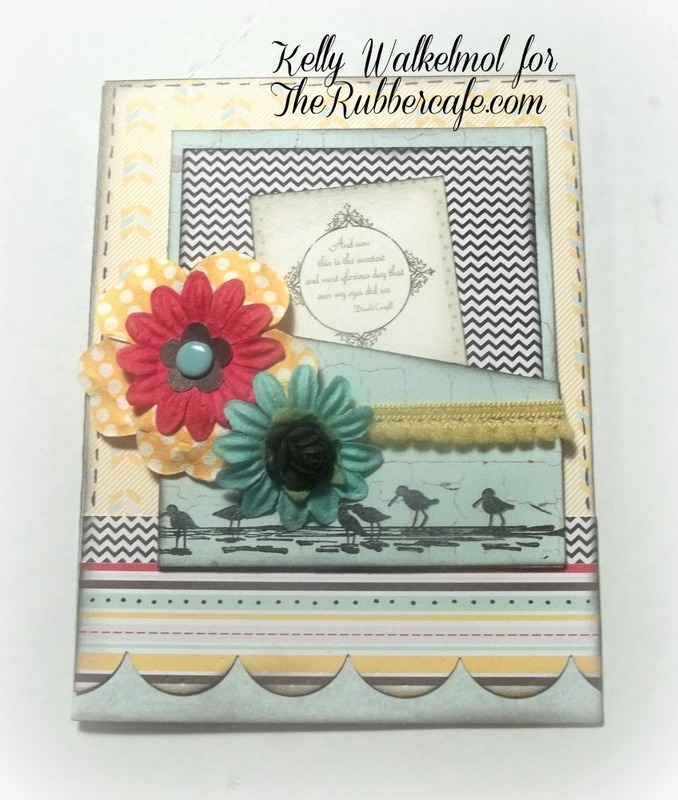 Here's Kelly to share with us her first project this month while doing a Guest appearance here on the The Rubber Cafe' blog. Her first card "Hello Friend" features the Small Trailing Butterflies stamp - she's layered her card front and paper pieced the butterflies on another patterned paper and placed them 'in flight' up the side of her card. 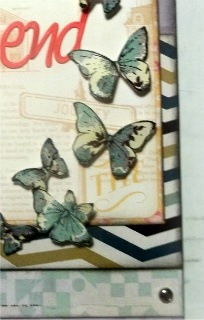 This stamp set also comes in a larger size check it out here - perfect to mix with the small trailing butterflies or maybe use on a 12 x 12 page layout. 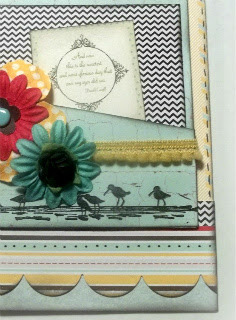 Her second card here features some more fun paper layering using the Shore Birds stamp. She's created a fun pocket on the front of this card and embellished with some small ball fringe and paper flowers give it a pop of color. 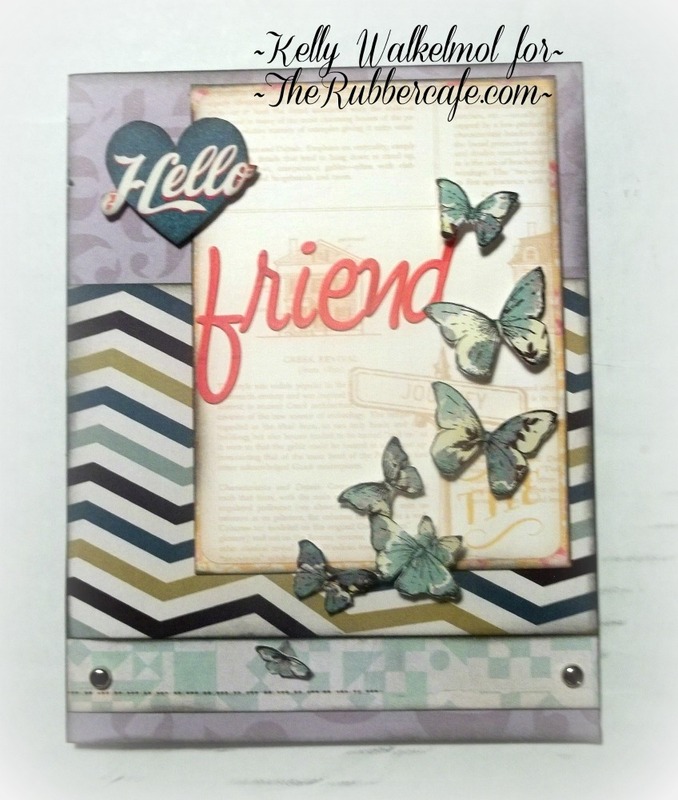 Faux outline stitches help frame in the light color backing of her card and for an extra bit of fun - Kelly punched a large scallop edge and layered it so that it looks a bit like waves don't you think?? 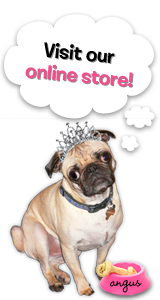 Be sure to check back... Kelly will have another post to share next week!